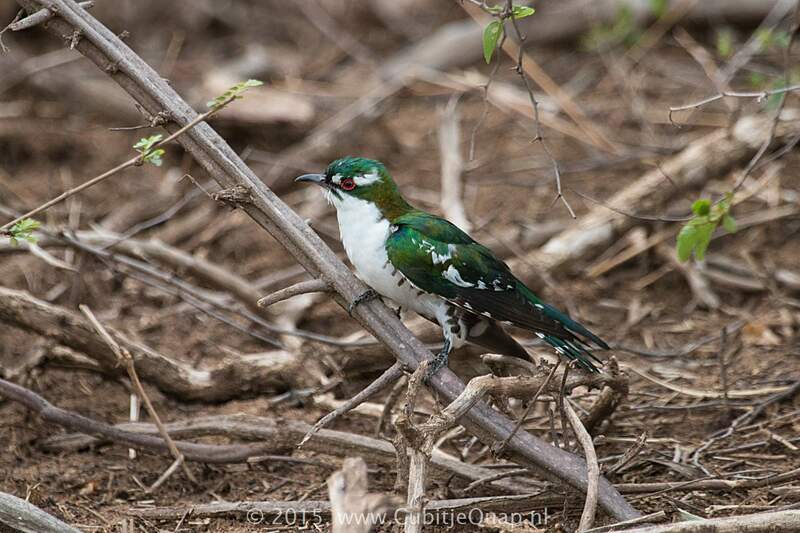 Male is easily distinguished from similar male Klaas's cuckoo by the broad, white stripe behind the eye, the white spots on the forewings and the red (not brown) eyes. 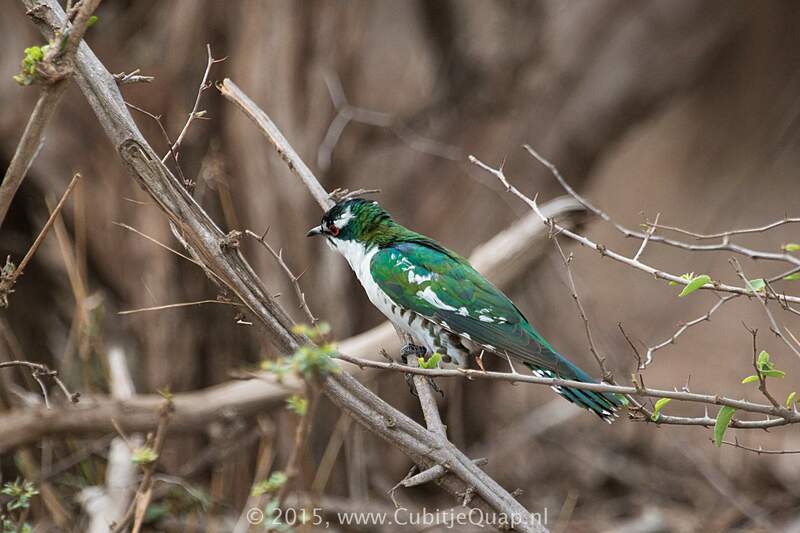 Female differs from female Klaas's cuckoo in having bolder but less extensive barring on the flanks, and having white spots on the forewings. Immature resembles female. 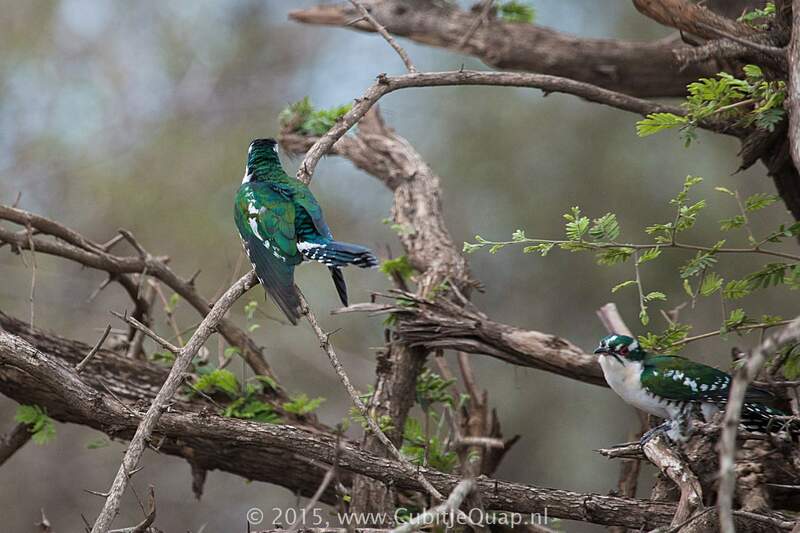 Juvenile may be differentiated from juvenile Klaas's cuckoo by its conspicuous red (not black) bill. Woodland, savanna, grassland and suburban gardens.